Well maintained and lovely home in the BROOKWOOD school district . Located on a cul-de-sac in the well established swim/tennis community of Webb Gin Farms, this home has an Open Floor plan, freshly painted, NEW kitchen flooring, refinished HARDWOODS, ceiling fans in all rooms as well as so many updates and so much care all the way down to the meticulously cleaned carpet, fenced in backyard, and stainless appliances! Convenient to Scenic Hwy, Shopping, and Dining! Home has a long level driveway and is on a level lot! YEARNING FOR SPACE? Look no more! Upon entering this home, immediate attentiion is drawn to the airy & relaxed feel. A high ceiling in the living area enhances the spacious look of the home. A gourmet kitchen with large island is perfect for entertaining. Plenty of counter space and upgraded appliances will make any novice cook a pro. A spacious master with ensuite features 'his & hers' walk-in closets and a beautifully calming bathroom with dual vanities & exquisite soaking tub. This home is a cool and airy sanctuary perfectly suited to a relaxed lifestyle. Call today. 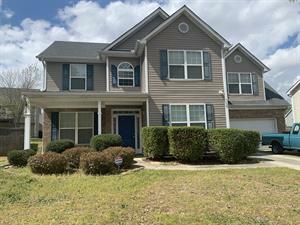 Welcome home to this 3 bed 3 bath home in a quiet neighborhood in Tucker GA very close to Lawrenceville Hwy and Mountain Industrial. This ranch home brick home has large living room and bedrooms. Cozy kitche and a sunroom that just makes this house perfect. Hurry to get this great home. Unbelievable opportunity ready to move-in open floor plan in Lake Astoria! Three sided brick executive home w/three car garage & flat private backyard! Gourmet kitchen with granite, butler's pantry & SS appliances open to family room! Two story great room w/custom made bookshelves, private dining room with heavy molding, executive office w/French doors and full bdrm and bthrm on main level. Oversized master bedroom and spa-like master bathroom with garden tub! Additional spacious bedrooms provide walk in closets. All of this with an unfinished basement to make your own! 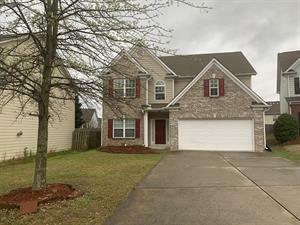 Wonderful two story home on a finished basement in sought after Fayette County school district. Three tiered terrace in the back and built in fire pit. Home boasts heated marble flooring on master bath, crown molding throughout wood flooring, carpeting, built in bookcase, storage room on basement & covered gutters. With this 5 bedroom (two bonus rooms) and 3 bathroom and a half bath this is the perfect home for you to live comfortably in a sought after community. This spectacular 5 bedroom, 3 bathroom home features a formal living room, formal dining room, family room and kitchen which is equipped with a gas stove, refrigerator, dishwasher, microwave and pantry. One guest bedroom is located on the main level. Upstairs you will find the spacious master suite which features a sitting area, garden tub and separate shower. The 3 upstairs guestrooms are also roomy. Don't wait. Call now to schedule a viewing, this great home will go fast. Ranch style home with covered rocking chair front porch on full basement. Kitchen has stainless steel appliances, a wine rack and granite countertops. Hardwoods on first floor. Huge deck over looks one acre lot, with direct access to Big Creek Green way. Wonderful plan with well thought-out rooms that flow. Well maintained inside and out, this home has room for everyone and everything. Four large bedrooms upstairs, including Master bedroom with a beautiful trey ceiling and sitting area. Ideal Cul-de-sac location. Welcome home to this 4 bed 2.5 bath home in a quiet neighborhood in the Peachtree Ridge High School. Master on the main floor will make this very attractive. Beautiful kitchen with plenty of room and a breakfast bar. Large living room with great natural light along with great sized bedrooms. Hurry to get this great home. 3 bedroom, 2 bath in Bridgemill just off cul-de-sac, open floor plan, vaulted great room, master in it's own private wing with sitting room, master bath has double vanities, sep tub/shower, glass sliding doors to patio/ backyard.